I recently got asked to review a couple articles to see which one was better for Google. But the problem was that it was obvious that the writer did not know much about the subject they were writing about, based their content around a keyword list, and was not structuring the content for Google. You can learn enough about a topic to sound intelligent about it if you just research the topic for about 10 minutes. Go to the associated Wikipedia page, search Del.icio.us for your topic, and find a few other articles that are research oriented (like the history of, industry background from trade organizations, trends, what people are blogging about in that topic, etc etc etc). If you are just trying to build traffic to get ad clicks until a site gets burned you may as well use automated content generation tools. Markov chains / RSS / Wikipedia / etc etc etc provide a large pool of easily recyclable information. Automated content generation is getting more sophisticated to where there is little purpose in manually writing an article unless you are creating something to be read by people. If search engines get more aggressive at using user feedback as a quality signal the profitability of poorly formatted content will be drastically reduced. If people do not read your content then they aren't going to link at it either. Content without links only works if you operate in an undiscovered or uncompetitive niche - which eventually will get competitive when others find it. More and more people are reading and writing online. As the amount of content increases the value of strong filters goes up. Thus if you have content that you can pitch to them it will spread virally. I recently created one good article for a client, pitched it to 3 websites, and it got well over 100 organic citations in the first week. Those same sources that make it easy to create automated garbage also make it easier to create real content. After you have strong baseline knowledge of the topic, general writing principals, and know how to package information then the packaging is the only difference between profitable and and unprofitable content. If you are doing something as a hobby, then people should matter far more than search engines. In that case ROI and search engines shouldn't be much of a factor. If you are doing something as a business, then either automate your content generation or write for people. The ROI of original hand crafted content that targets search spiders over people is not going to be something that promotes a long-term growing business. Sure you can look at your traffic logs and use keyword lists to tweak the copy of important pages to include a few more modifiers and pick up more traffic, but don't do it so much that the page looks like it was only created for search engines. If your content is focused on conversion and converts well then you can afford to buy advertising and acquire affiliates. And if you point a few more quality links at a real content page it will rank far better and be far more profitable than a hand crafted page that was created exclusively for bots. I'm nowhere near as knowledgeable about SEO as Aaron, but likely know a little more than the av-er-age bear so here's my 2 cents (re: Deb's question above). However *my* theory, which I believe is along the lines of what Aaron indicated in a later comment, is that it's best if your syndicated content doesn't appear on your own website - and especially not the site linked to in your article's author resource box. But I don't think Google would penalize backlinks from sites duplicating you content, because it would make no sense. 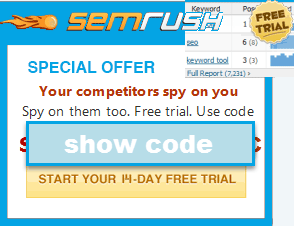 Esp since it'd open up a way for your competitors to harm your website's SE rankings. Personally I think Google *might* count either the BEST or the FIRST website's backlink that their bot finds your article on, and then simply neutralize or seriously lower that backlink 'strength' from all other sites featuring your article. BTW, I linked my name here to my own Directory of Article Directories if you want a decent (if a do say so myself) resource for finding article directories to submit to. If you don't want to submit to a TON of them, then choose a few of the highest Google PR directories (a fairly decent indicator of spider frequency, traffic, Google Juice, etc) and any niche directories specific to the theme of your article if there are any. Good point. I was on a page today that was so tweaked that it was just nonsense. Who is going to link to that? What is the point of getting lots of traffic if people immediately leave because they can't read it? Google reader, personalized search, etc. - it sure looks to be ramping up. The more such sources exist and can be cross-referenced, the more difficult and time intensive it will become to spam on all the necessary fronts. I have a rather funny question that i wanted to ask. Whenever you are using google talk: the messaging client that you have inside your mailbox; and you type in a url into it then a very strange thing happens. It takes quite some time to convert it into a link. Like its not instantaneous. Nicely said, and something to practice. We have seen high quality articles drive clients to sites as articles can convert to sales if they are good. In a world where SEOs are focused on linkbaiting, this is what linkbaiting is all about, well written articles that are worth reading and sending traffic and potential clients. Amen, Aaron! I have trouble convincing people that thin articles will not be a sustainable asset for drawing in traffic, long-term! That's so true. It seems like every time someone says article marketing doesn't work, they're just focusing on keyword babble, not readable, informative content. I am in the process of re-writing all the content on my main site and after the info that I am seeing I will be adding comment ability to every page. The only weird thing is that the pages with content are product pages as well. Does it devaluize the page if you put outbound, reciprical, and internal linking with in the content you are writing for people? I have been wondering if it is better to sprinkle your links from other sites into your content rather than have all of your reciprical links on a resource page or links page.?. If you are writing for people you should use links to actively guide the users toward conversion. Links are a good thing. That is what makes the web great. Also when I do nepotistic linking I typically find a way to work it into content rather than having some cheesy isolated links page. Unless using BlackHat techniques you should always be creating content to rank well in Google today AND tomorrow. That means (and always has) create rich content that other humans want to link at. You seem to be correct. In my case I started a blog which is quite small more like advertising in what I sell at my retail location, one of the SE started now telling me in their analytics that the blog has a higher rank value than the website itself. Also since I started writing I found that I got more clicks too. Guess that I have to keep adding on to keep traffic coming. "I recently created one good article for a client, pitched it to 3 websites, and it got well over 100 organic citations in the first week." now if you submit same article in many article sites it will be duplicate content, right??? I didn't syndicate the article. The links were from people who linked at my site without syndicating the content. Thanks Aron for your quick reply, could I ask a question about duplicate content? my query is that if i submit same article in many web article sites will it be duplicate??? The solution around that is to submit the duplicate (or near duplicate) content to other sites and do not put much of it on your own site. Thanks again Aaron for your help, I must say seobook.com helps me more and more regarding seo, the seo for firefox tool (I downloaded the tool from your site) now in my pc. so I can submit same article in different sites, fine then google will not penalize these back links. right? ?